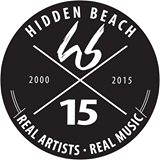 London, June 29th, 2015: Belgium-based Auro Technologies announced today that it has finalized an agreement with Hidden Beach Recordings, a record label founded by Steve McKeever and distributed by Universal Music Group. The deal involves remixing the album JILL SCOTT LIVE IN PARIS in AURO-3D® audio. Jill Scott is a multi-platinum, three-time Grammy Award-winning R&B vocalist. As a part of the independent record label’s 15th Anniversary celebration, JILL SCOTT LIVE IN PARIS will be released in AURO-3D®, a listening format that delivers the most natural immersive sound experience on the market. It is an exciting move from two-dimensional surround sound formats to three-dimensional sound, achieved by adding the missing and final dimension in sound – “height” in front of and all around the viewer/listener). AURO-3D® is the only sound system on the market that has both 5.1 surround and Auro 9.1 in just one standard PCM delivery file, with high resolution audio in each channel, making it easy for distribution on any system in the world.